If adaptation is the key to greater performance and growth, this new class of herbs can help you reach new levels of fitness. The latest scientific data in pharmacology and sports physiology shows improved ways to tap into the adaptive responses. Not only have adaptive style training modes produced fantastic strides in performance, health and body composition (Think Crossfit and P90X), but a relatively new class of herbs called adaptogens can elevate your workouts past stubborn plateaus to hit new peaks! An adaptogen is a metabolic regulator which increases the ability of an organism to adapt to environmental factors, and to avoid damage from such factors. Environmental factors can be either physiological, such as injury or aging, or psychological, such as anxiety. An adaptogen must have a normalizing effect, ie. countering or preventing disturbances to homeostasis brought about by stressors. Moreover, it must be innocuous with a broad range of therapeutic effects without causing any major side effects. The adaptogen concept does not fit easily into the Western model of medicine. The repeated use of adaptogens gives a similar effect to repeated physical exercise by a transition from homeostasis to heterostasis. (The effect is mainly related to the Hypothalamic-Pituitary-Adrenal-axis). Repeated use of adaptogens has been shown to increase endurance, for exampple in long distance runners and cross-country skiers. It also aids a more rapid recovery from a stressor. Repeated use acheives this, not by inhibiting the response to the stressor, but by helping the body adapt to it. This means adaptogens are stress agonists and not stress-antagonists; they work with your body to solve a problem rather than ignore it. Administration of adaptogens in a single dose is relevant when a rapid response to stress and strain is required. This effect is associated with the sympathetic nervous system. Adaptogens suitable for human consumption are siberian ginseng, rhodiola rosea and schisandra berry, which can also be used for repeated administration. (Rhodiola rosea is often prescribed to help regulate high-altitude sleep disorders and improve sleep quality.) Panax ginseng on the other hand gives adaptive effects only after repeated use for one to four weeks. How do adaptogens compare with stimulants? Stimulants have been the widely accepted for many years as the “go to” in a situation of increased physical and psychological demand. So lets look how adaptogens stack up head to head with stimulants. Below are important differences between the stimulating effect of adaptogens and other stimulants of the central nervous system as summarized. Conventional stimulants, such as caffeine, nicotine and amphetamines have serious possible side effects and potential for abuse with long term use, In contrast, adaptogens do not exhibit such negative effects. Several studies have proved this. However, they are much less effective. Adaptogens are absent from mainstream medicine, but are popular in energy drinks. On the other hand, stimulants are widely used in mainstream medicine to treat conditions like narcolepsy, obesity, and attention-deficit hyperactivity disorder. Plant adaptogens stimulate the nervous system by mechanisms which are totally different from those of conventional stimulants. A comparison can be made between the benefits of adaptogenic herbs and various modes of physical training, long term achievement and goal acquisition. 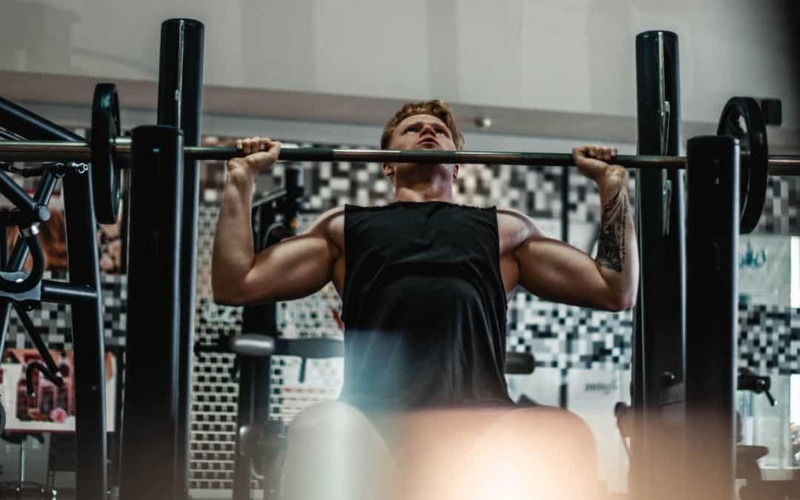 In my personal experience as a pro skateboarder, trainer and physique athlete, I can tell you the workout your body doesn’t know is the one that will make it grow. The art of adapting is becoming a tool that people can use to precisely and methodically maintain optimal longevity and neuromuscular connectivity. The nine primary modalities of Crossfit have forged elite fitness while touting the legitimate claim of “Fittest on Earth!”Bottom line is that regardless of physical skill level or natural ability, mixing things up is the real key to mastering the body’s reactions. The real challenge is not wether the body can do it, but that the mind can create the constant change needed to grow. Brekhman, I. I.; Dardymov, I. V. (1969). “New Substances of Plant Origin which Increase Nonspecific Resistance”. Annual Review of Pharmacology 9: 419–430.doi:10.1146/annurev.pa.09.040169.002223. PMID 4892434. Samuelsson, G., and Bohlin, L. Drugs of Natural Origin: A Treatise of Pharmacognosy, 6 ed., Swedish Academy of Phramaceutical Sciences, Stockholm, Sweden, 2009. Pp. 226-228. Fulder, Stephen (1982) . The Tao of medicine: Ginseng, Oriental remedies, and the Pharmacology of Harmony (First American ed.). New York: Destiny Books. ISBN 0-89281-027-0. 1. Panossian, A.; Wagner, H. (October 2005). “Stimulating effect of adaptogens: An overview with particular reference to their efficacy following single dose administration”. Phytotherapy Research 19 (10): 819–838. doi:10.1002/ptr.1751. PMID 16261511. Fulder, Dr. Stephen (21 August 1980). “The drug that builds Russians”. New Scientist 87(1215): 576–579. Retrieved January 9, 2013.